Here at the Little Pink House, we love guacamole. Like lurve it. And we lurve Texas. Our lurves combine in the form of the Wholly Guacamole Company. When Wholly Guacamole sent me a HUGE box full of their products, I was beside myself. Along with their signature guacamoles, they also sent one of every single variety of salsa that they make. And you know what that means? Yep. Par-tay! And what better place than a Supper Club to taste test new food products. I mean we are all there for one reason - to eat! We are uniquely qualified since a. we all like food b. we are all somewhat discerning (even me with my Oreo addiction and love of Frito Pies) and c. WE LIKE FOOD A LOT. For the Wholly Guacamole Classic Salsas in Mild, Medium, and Hot we had mixed reactions. With all of us being either of Texan or Cajun heritage, the mild was not our favorite; which was to be expected. The Medium and Hot varieties had split votes as to which was better but all agreed that they were both good. On the Pineapple Salsa, again there was some amount of disagreement. A couple of people liked it but overall all the comments were that it was too sweet or just tastes like pineapple. We all agreed that it could use a little umph - like maybe more cilantro or some habanero. The Red Pepper Mango Salsa had some interesting feedback. I liked it because it was sweet and spicy and most other folks liked the flavor but several of my friends said it had an effervescent quality. It "fizzed" or "bubbled" on their tongues. I did not have that phenomenon but could understand that it would be an odd feeling. Almost everyone liked the Avocado Verde Salsa it had a great flavor and one of our friends mentioned that they would like it as a marinade or sauce for chicken. This was one of my favorites and I agree that it would be great as an ingredient in a complete dish like as part of Chicken Enchiladas. And I saved the best for last, the Guacamole & Spicy Pico Dip. Oh man this one was fantastic! It got good reviews all around. It was exactly what is sounds like, guacamole and pico de gallo layered in one dip. Avocado Shrimp Salad from Ms. EnPlace. When I read through the recipe, I realized that the guac/pico dip would be a super short cut. So off to Brookshire's I went to buy some of the pre-made no-messing-about deliciousness. To serve, I heated up some tostados, topped them with mixed greens, and cooked some small shrimp and mixed them with the dip. Oh my word this was tasty and my Ladies loved it! So the moral of this story is YEA Wholly Guacamole! YEA brunch shortcuts! YEA tasty dips! Yep, I thinks that's about the gist of it. If you've tried the new Wholly Guacamole Salsas, what did you think? Oh, and thanks Wholly Guacamole for sending me that huge box of awesome! *Update! 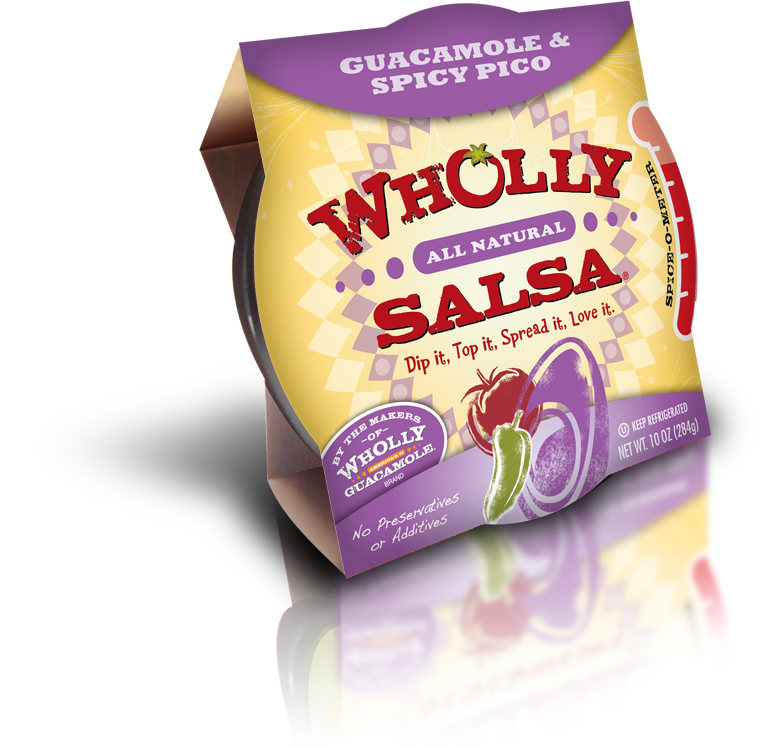 * The lovely folks at Wholly Guacamole just threw in THREE prize packs of coupons for FREE Wholly Guacamole for me to give away! How cool! Thanks so much W.G.! Thanks to all who entered. The winners have been contacted. I think I would like the Avocado Verde Salsa. Sounds delish. Though so does Guacamole and Spicy Pico Dip. Yum. Either way I am excited! I want to try the gauc/pico shrimp idea. I think my hubby will LURVE it!! We like the Guacamole with Pico Packets. It is good on just about anything! I like the 100 calorie packs of guacamole! Mmm! 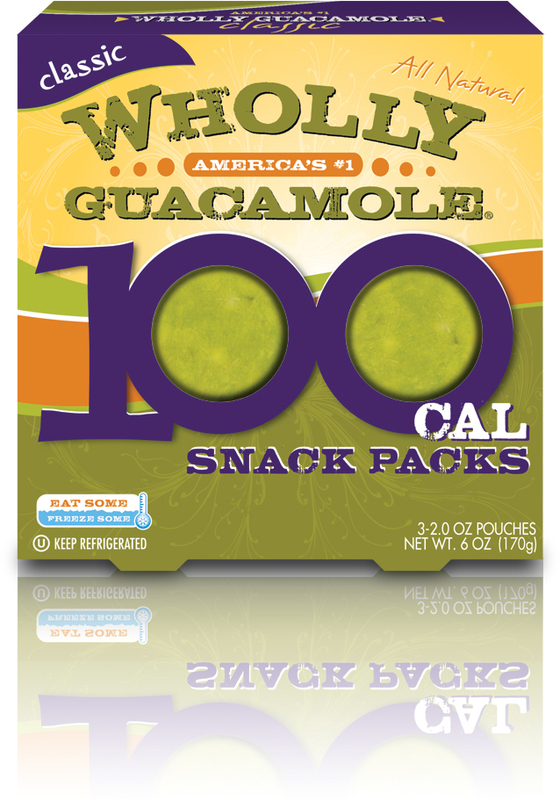 Love guacamole and would love to win a coupon so I could try Wholly Guacamole! The Classic Medium Salsa would probably be the one I would like the best, but they all look good! I love the Spicy Guac but would love to try the Guac and Pico! I also like their queso dip. Our whole family LOVES guac, so I love this giveaway!! I love their 100 calorie snack packs! Their salsa sounds delish!